How many passengers does the 2019 Ford Explorer seat? 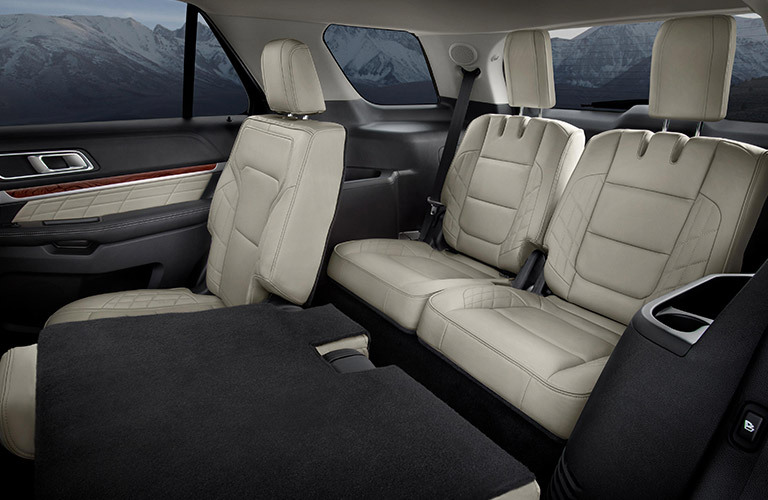 Families and weekend warriors alike can appreciate a spacious SUV. One of the most passenger-friendly vehicles available in the Ford lineup is the Explorer. This spacious vehicle offers plenty of room for family and friends, making it a great pick for parents. Learn more about the seating options available inside the 2019 Ford Explorer here. Great for families of all ages, the 2019 Ford Explorer not only offer the great tech parents and kids are looking for, but space for everyone to enjoy it. Whether you have a large or growing family, or are in charge of the weekly carpool, you’ll find plenty of use for the three rows of seating inside the versatile SUV. The interior layout of the 2019 Explorer features two front seats, a second-row bench seat that fits three passengers, as well as a third-row double seat which allows room for two more passengers. In total, the 2019 Ford Explorer is able to offer a maximum passenger capacity of seven. To learn more about this impressive new vehicle, be sure to check out the rest of the Crossroads Blog! If you’re interested in getting behind the wheel of the spacious and family-friendly Ford Explorer, Crossroads Ford and Lincoln is the place to go. Here on our lot, we have a selection of new Ford Explorer models available for shoppers to choose from. Our inventory features a selection of different trims and color options for shoppers to choose from, ensuring that you’re able to get the exact vehicle you’re looking for with the features you want. After taking a moment to browse the models in our inventory, all you have to do is give us a call or contact us online and we’ll be happy to set you up with a test drive in one of our available vehicles. We look forward to hearing from you!